Carol Camfield obtained her BS and MD degrees from the University of Michigan, where she also did her pediatric internship and residency. Peter Camfield obtained his Bachelor’s Degree from Queen’s University, Ontario and his MD degree at Harvard Medical School. Upon completing medical school Dr. Camfield returned to Canada for medical internship at the Royal Victoria Hospital in Montreal. He then recrossed the border to complete his pediatric residency at the University of Michigan, where he met Dr. Carol Spooner. 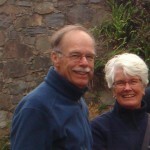 Peter Camfield’s training as a child neurologist was then undertaken at McGill University/Montreal Neurologic Institute. Carol Camfield was a Robert Wood Johnson Foundation Clinical Scholar in epidemiology and study design at McGill University. They both joined the faculty in Child Neurology at Dalhousie University in Halifax, Nova Scotia in 1977 where Peter later became the Chairman of the Department of Pediatrics. They are now Professor Emeritus of Pediatrics at Dalhousie University. In Nova Scotia the couple identified a large population-based cohort of children with epilepsy and has followed them for the past 35 years. Based on this group of epilepsy patients, they produced many publications describing the natural history of childhood epilepsy, management and treatment and long-term social outcomes. Their investigational skills and analyses are particularly designed for application to the common everyday problems found in Child Neurology practice. Included among these studies are characterizations of the natural history of various seizure disorders, including febrile, absence, JME, and Rolandic seizures, and status epilepticus, as well as the social outcome of children with epilepsy as young adults. The Camfields have also closely considered a variety of questions concerning learning and behavior in children with epilepsy. Carol is also interested in health related quality of life issues associated with chronic disease and the impact and management of pain in infants and children with severe cognitive impairments. The Camfield’s have co-authored 150 original full-length papers primarily concerning childhood epilepsy and also and many additional publications with students, residents and colleagues on additional topics other than epilepsy. They have written over 60 chapters and received 40 visiting professorships throughout the world and authored 2 books on childhood epilepsy. They have a special interest in teaching research design and pediatric neurology with a special interest in developing countries..
Carol is a member of the Canadian Pediatric Society, American Epilepsy Society, Canadian League Against Epilepsy and the Epilepsy Association of Nova Scotia. Presently she is on the Editorial board of Pediatric Neurology, Journal of Child Neurology and Epilepsy and Behavior. She has served on the board of directors for Epilepsy Canada and Canadian Sudden Infant Death Foundation. She, along with Peter, were founding members of the Epilepsy Association of Nova Scotia and served on its Board of Directors for the past 30 years. Peter is a member of the Child Neurology Society, American Epilepsy Society, Canadian League Against Epilepsy, International League Against Epilepsy. He is also on the Editorial Board of Pediatric Neurology and the Journal of Child Neurology. Carol and Peter Camfield shared the prestigious Milken Award of the American Epilepsy Society recognizing their contributions to clinical investigation. The Camfields also shared the IWK Health Center Research Award, the Wilder Penfield Award of the Canadian League against Epilepsy, a Rockefeller Bellagio Scholarship and the Career Research Award from the Canadian Pediatrics Society. Peter recently received the honor of the Hower Award from the Child Neurology Society. The pinnacle of their pediatric career, however, was appearing in several short segments of Sesame Street. Understanding epilepsy can be difficult. People with epilepsy have seizures. Seizures are the result of coordinated (synchronous) firing of a large number of nerve cells in the brain. In a normal lifetime, about one person in eight will have a seizure. The distinction between provoked and unprovoked seizures is important. Most seizures are “provoked” which means that there is a specific cause at the moment of the seizure. Examples might be a very low blood sugar, a brain infection such as meningitis, or a head injury. People with epilepsy have “unprovoked” seizures, which means that the seizures seem to come “out of the blue”. At the moment of the seizure there is no obvious cause or provocation. Provoked seizures rarely recur unless the same type of triggering factor returns (i.e. another head injury). On the other hand, unprovoked seizures are much more likely to recur. If a child has a single, first unprovoked seizure, the chance of a second one is about 50%. This means that about half of individuals with a first unprovoked seizure will never have another one. If there have been two unprovoked seizures, then the chance of further seizures increases to 75-85%. These observations have led to a useful and practical definition of epilepsy – a person may be diagnosed with epilepsy if they have had “two or more unprovoked seizures”. There are two confusing refinements to the concept of two unprovoked seizures as the definition of epilepsy. First, many, but not all, experts think that if two unprovoked seizures occur within 24 hours they should just count as a single seizure. Secondly, there are rare patients with epilepsy who have their seizures “provoked” by very specific triggers such as flashing lights, certain music, hot water baths, mental calculations, or even eating. These people have a “reflex epilepsy”. The factors that trigger their seizures would not have an effect on people without epilepsy. Families often fear that their child will die during a seizure. Fortunately the risk is small, based on several very large studies. Children who have “epilepsy only”, meaning that they have seizures but no other neurological problems, have no greater risk of dying over the next 20-30 years than those without epilepsy. Children with epilepsy plus neurologic problems that interfere with activities of daily living (such as feeding, clothing, bathing, or walking) are more likely to die than those with “epilepsy-only,” but death is from problems of their underlying neurologic disorder, not their epilepsy. When deaths do occur as the result of seizures, the deaths are from accidents, status epilepticus (extremely long seizures) and Sudden Unexpected Death in Epilepsy (SUDEP). SUDEP usually occurs during sleep and is presumed to be the result of a seizure, but it is still unclear what actually happens to cause the person to die. SUDEP occurs most often in patients with uncontrolled epilepsy, especially if their epilepsy is so severe that they are considered candidates for epilepsy surgery. If epilepsy surgery is successful, the risk of SUDEP essentially vanishes. SUDEP is more common in adults with epilepsy then children. However, if childhood epilepsy is uncontrolled and persists into adulthood, the risk of SUDEP will gradually increase. At the present time there is no proven way to prevent SUDEP. To put these risks in perspective, it may be helpful to appreciate that the risk of dying from an automobile accident is many times greater than the risk of dying from a seizure. How many children have epilepsy? Epilepsy is a fairly common disorder. There are two scientific ways of counting patients –incidence and prevalence. Incidence means the number of new cases in a population per year. The diagnosis of epilepsy is highest in the first year of life at about 120 people within 100,000 people. It then decreases to about 40 people within 100,000 people between ages one and ten years. Even more, it decreases further to about 20 people within 100,000 people through the teenage years and adult life. In old age, the diagnosis again seems to rise. The incidence of epilepsy is similar in most developed countries but may be higher in poorer countries, probably related to higher rates of head injury and brain infections such as meningitis. Prevalence means the number of people in a population at any one time who have epilepsy. For a chronic disease such as epilepsy, prevalence is higher than incidence because the disease does not vanish over a one-year period – the number of cases in the population grows. The prevalence of epilepsy in most developed countries has been estimated to be about 3.5-6/1000 which is about 100 times higher than the incidence. The risk that any child will develop epilepsy through their life is about 1/100. This may not appear to be very high but it is considerably greater than the chance of developing juvenile diabetes, childhood cancer, or arthritis. Most prevalence studies have suggested that focal epilepsy syndromes are more common than generalized epilepsy syndromes. Prenatal – Prenatal causes include a large number of problems with brain development. Particularly important are disorders of “neuronal migration”, or how the nervous system develops. As some children develop in the womb, areas of their brain may form abnormally (or malformed). These abnormalities lead to seizures (especially focal seizures) that may start many years after birth. Postnatal acquired – Postnatal acquired causes include significant head injury or brain infections such as meningitis or encephalitis. Genetic – Genetic causes are increasingly recognized. Some genetic problems cause epilepsy by a direct effect on the function of nerve cells (for example, Dravet syndrome). Other genetic problems cause brain malformations that then cause epilepsy (for example, tuberous sclerosis). Problems around the time of birth are almost never the cause of epilepsy unless the brain injury was sufficiently severe to also cause cerebral palsy. There is also little evidence that minor head injuries cause epilepsy. There is no evidence epilepsy is caused by emotional upset or stress. 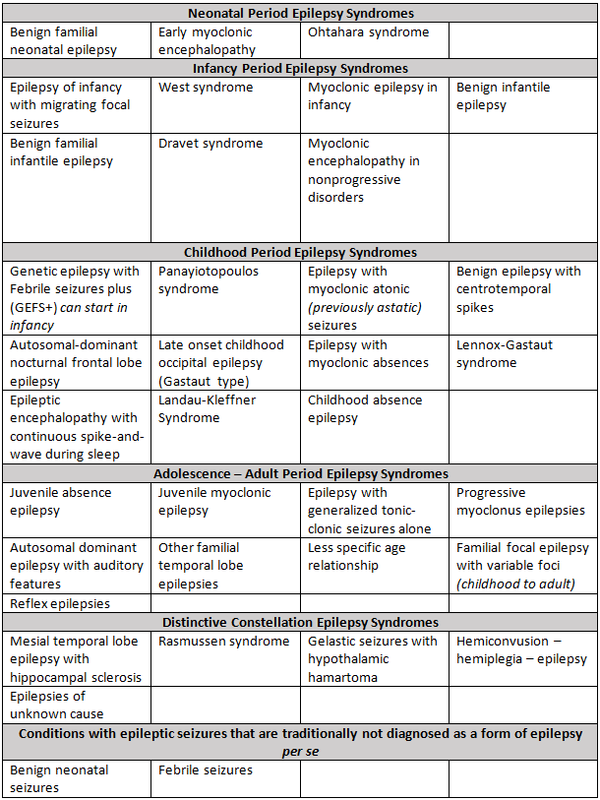 Table 1 outlines the many different types of seizures. There is an important and basic distinction between focal seizures and generalized seizures. Focal seizures are easier to understand than generalized seizures. A focal seizure begins in a specific region in the brain and may spread. The symptoms depend on where the seizure begins and how far it spreads. If a seizure is limited to a very small part of the brain, the person might only experience an odd sensation, yet an observer would not see anything happen. For example, a person might see flashing lights if they had a seizure restricted to the back part of the brain (the occipital cortex). A seizure restricted to part of the temporal lobe might produce an intense feeling of having seen something before (“déjà vu”). When the person remains fully conscious, the focal seizure is called “simple partial”. If a seizure spreads more widely, then consciousness is disturbed or lost. If only part of the brain is involved the person might be confused, mutter strange words or pick at his clothing. After a minute or two, consciousness returns but confusion may persist for a few minutes. This type of focal seizure is called “complex partial”. Sometimes, especially in children, it is difficult to be sure if a person is fully conscious when a seizure happens. For example, the seizure happens when the child is alone. If a focal seizure spreads to nearly all of the brain, the child will lose consciousness, fall if they are standing, stiffen and have repeated jerks of arms and legs (clonic movements). This type of seizure is called partial (or focal) with secondary generalization. A very short aura or warning comes before some focal seizures. This really is a simple partial seizure that goes on to become a complex partial seizure or a focal seizure with secondary generalization. 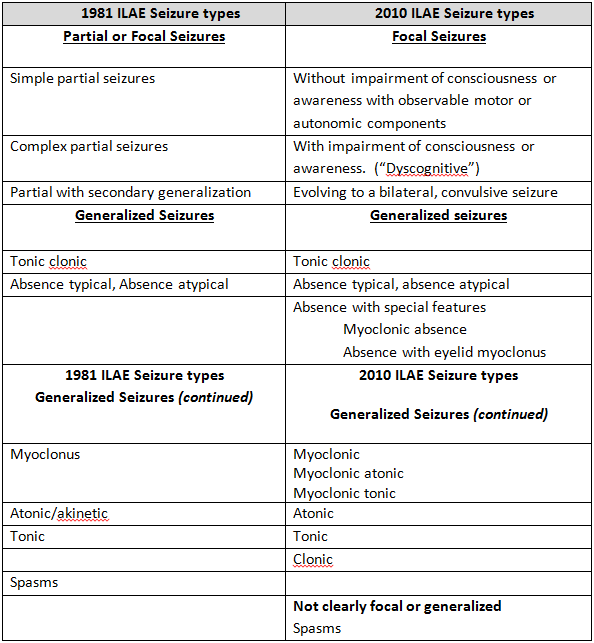 In 2010 a committee of the International League Against Epilepsy (ILAE) suggested that the terms simple partial, complex partial, and partial with secondary generalization be abandoned and replaced by a more detailed description of the individual’s seizure (Table 1). Neurologists suspect that the older terms will persist because they are in such widespread use. 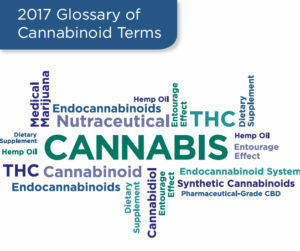 Both of the terms are included in this paper for reference. Generalized seizures are more difficult to understand. The seizure begins in a widespread network of brain cells and the first symptom is typically loss of consciousness. There are several types of generalized seizures. The most familiar is a generalized tonic-clonic seizure. There is no warning or aura. The patient suddenly becomes unconscious, falls, stiffens, and has jerks of both arms and legs that are roughly symmetrical. The seizure stops and consciousness gradually returns. This type of seizure has previously been called “grand mal,” but it is important to note that what looks like a “grand mal seizure” may be either primarily generalized or focal with secondary generalization. This distinction is important when determining cause or treatment of epilepsy. A second common type of generalized seizure is an absence seizure. The person suddenly stops without warning, is unconscious but does not fall. He/she will stare and often has slight eye flutter, tiny bit of lip smacking, or simple hand movements. The attack lasts 10-20 seconds and the person suddenly “snaps out of it” usually with no realization that anything has happened. Absence seizures are much more common in children than adults. In the past, absence seizures have been called “petit mal”; however, “petit mal” is often confused with simple partial or complex partial seizures so the term is not favored. Myoclonus is another type of generalized seizure – a sudden jerk of part or most of the body. This resembles what we all experience occasionally as we fall asleep. Generalized tonic seizures begin with loss of consciousness and sudden stiffening of the whole body. Atonic or akinetic seizures are also generalized seizures and cause sudden drops to the floor if the person is standing. Infantile spasms are a specific type of seizure occurring mainly in infancy. It is unclear if they should be called focal or generalized. Spasms are usually seen in the first year of life and consist of a series of attacks (typically 10-20). Each spasm consists of a brief jerk of the arms and/ or legs with body stiffening. Sometimes the spasm may be more subtle and consist of a tiny shoulder shrug or brief upward eye deviation. The child may cry between spasms. The seizure looks generalized but the cause is often a localized area of improperly formed brain. Most seizure types may have multiple causes and may be part of other brain problems. An epilepsy syndrome is defined by particular seizure types, causes, and EEG patterns. The diagnosis of an epilepsy syndrome diagnosis is valuable because certain causes are known, as well as understanding of how the diagnosis will affect the patient’s life. Certain treatments have proven reliable in many epilepsy syndromes. Adapted from the Commission on Classiﬁcation and Terminology of the International League against Epilepsy. Proposal for revised clinical and electroencephalographic classiﬁcation of epileptic seizures. Epilepsia 1989;30:389-399. Generalized epilepsy syndromes are characterized by generalized seizures, generalized EEG abnormalities between the seizures (the “interictal” period), and a cause that reflects some form of broad brain problem. Focal or localization-related syndromes have focal seizures and the cause is a problem restricted to one area in the brain. EEG abnormalities are typically restricted to the same area of the brain where the seizures originate. Each of these two broad categories are subdivided into idiopathic (or unknown cause, such as a genetic cause), cryptogenic (a suspected but not clearly identified cause), and symptomatic (an identified cause). Some syndromes are not clearly generalized or focal and are placed in a separate category of “unclassified”. Nearly every patient’s epilepsy can be assigned to one of these four broad categories. 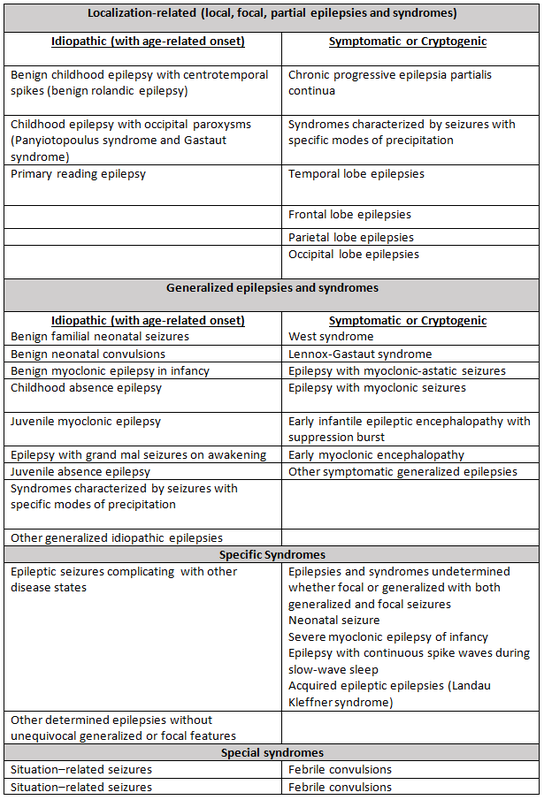 However, in 2010 ILAE proposed epilepsy syndromes to be organized by the usual age when seizures begin (Table 3). Adapted from Revised terminology and concepts for organization of seizures and epilepsies: Report of the ILAE Commission on Classification and Terminology, 2005–2009. Epilepsia, 51(4):676–685, 2010. There are no broad categories. There are many good reasons for this suggested change, but unfortunately now fewer than half of patients can be assigned to a specific syndrome. The 2010 ILAE proposal also includes the concept of Epileptic Encephalopathy which is further discussed below. There will undoubtedly be further revisions to classification of epilepsy syndromes. How often is epilepsy an isolated problem? Approximately 30-40% of children with epilepsy have “epilepsy only” which means that they have unprovoked seizures but normal intelligence, normal learning ability, and normal behavior. About 20% of children with epilepsy have intellectual disability (mental handicap). A further 20-50% have normal overall intelligence but a specific learning disorder. A smaller number have serious neurologic problems, such as cerebral palsy, that interfere with activities of daily living and self-help skills. Children with epilepsy are more likely to have behavior disorders than their classmates or siblings. These intellectual, behavioral or serious neurologic problems appear to be the result of the same brain disorder that has caused the seizures since they are already present when epilepsy is diagnosed. Some medications for epilepsy may cause or worsen learning and behavior problems. Frequent uncontrolled seizures or severe EEG abnormalities may have a similar effect. Is epilepsy a progressive disease? Seizures, especially generalized tonic-clonic seizures, are dramatic and frightening events. There has been concern that seizures cause further damage to the brain and that each seizure makes it easier for another to occur. However, there is research that indicates for most children with epilepsy that this is not true. For example, carefully designed studies have tested children’s learning abilities before or very soon after seizures have started. The children were then tested again several years later and there was no reduction in IQ or learning, especially in comparison with their siblings. Febrile seizures are not considered “epilepsy” because they are provoked by fever, but nonetheless they are seizures. Febrile seizures, even prolonged or repeated febrile seizures, have no impact at all on learning or behavior in later childhood. Studies in remote areas of the world have shown that epilepsy control is just as likely after years of untreated seizures as those children who started antiepileptic drug (AED) treatment after only a few seizures. Research has also found some exceptions to these encouraging findings. A special group of epilepsy syndromes are designated as “Epileptic Encephalopathies”. These seizures may be very frequent and/or abnormalities on EEG are extremely visible, especially during sleep. These children may show decreasing intelligence with increasing learning problems that may not be reversible even if the seizures are stopped and the EEG normalizes. The implication is that the seizures and the EEG abnormalities actually cause damage to the brain or serious alterations to the way nerve cells interact with each other. Epilepsy syndromes in this category include Dravet syndrome, Lennox-Gastaut syndrome, some cases of myoclonic astatic epilepsy (Doose syndrome), Ohtahara syndrome, Landau-Kleffner syndrome and continuous spike wave in slow sleep. Not all patients with these syndromes show progressive learning problems and some improve remarkably when the epilepsy is controlled. These very severe disorders represent less than 10% of children with epilepsy. The vast majority of children with epilepsy do not lose brain function when they have seizures. About 15% of children with epilepsy have “intractable” seizures, which mean that the seizures are not suppressed by AED treatment. While many children with epilepsy may benefit from an assessment in a special epilepsy center, those with intractable epilepsy should be seen in such a facility. The approach to management of intractable seizures involves a careful study of the actual attacks (are they really seizures and, if so, what type) and a detailed assessment of the cause. Changes in AED treatment and doses may be successful. Epilepsy surgery may be very effective in focal epilepsy with removal of the area of the brain where the seizures originate. Obviously the part of the brain involved must not be essential for important brain functions such as speech or vision. The ketogenic diet is a very demanding diet that may help some children with intractable epilepsy. A nutritionist is often consulted to help establish the diet. The diagnosis of epilepsy is based on a clear description of at least two unprovoked seizures. No investigation can replace this “clinical” diagnosis; however, there are several investigations that are typically very helpful. An EEG (electroencephalogram) records electrical activity from the brain via electrodes placed on the scalp. The electrical activity displayed on an EEG shows how a child’s brain cells are communicating with one another. Abnormal electrical activity can be recorded on an EEG, and may assist a neurologist in making a diagnosis. For example, about two-thirds of children with epilepsy have “spike discharges” on their EEG between their seizures which help confirm the diagnosis. It is important to note that EEG results have wide variability and, therefore, should be interpreted by a neurologist before a diagnosis can be made. For example, about 3-5% of normal children without seizures have similar EEG spikes, so the results from the EEG cannot make a diagnosis of epilepsy. If a person actually has a seizure during the EEG recording, there is nearly always EEG change; however, most seizure types do not occur very often, and are unlikely to occur by chance during a short routine EEG. The value of a routine EEG is to help with epilepsy syndrome diagnosis. An EEG is recommended after a first unprovoked seizure and certainly after repeated seizures. The chance of finding a specific EEG abnormality is higher during sleep and usually the EEG technician will try to have your child go to sleep. In addition, patients are usually asked to hyperventilate (breath rapidly) for three or more minutes during the EEG and they are subject to repeated flashing lights (photic stimulation) at various frequencies. Both of these techniques increase the likelihood of spike discharges. Prolonged time-locked video EEG is usually performed in a hospital bed and aims to record an actual seizure so that the seizure type can be characterized. If the seizure is focal, a video EEG may point accurately to its sight of origin in the brain. Video EEG may be very helpful to establish if a person’s attacks are actually “epileptic” or have a different cause. Brain imaging studies may reveal the cause of epilepsy, for example if there are focal abnormalities. In these situations, neurologists may order MRI or computed tomography (CT) tests to assist in the diagnosis process. An MRI is more likely to find an abnormality than a CT scan. Therefore, for most people with epilepsy, an MRI scan is recommended. MRI is preferred because there are specialized imaging techniques that may give increased information based on the epilepsy syndrome. Routine blood tests are of very limited value in the evaluation of epilepsy. How is epilepsy usually treated? Medications for epilepsy are often called anti-epileptic medications (AEDs). AED treatment is usually started after two or more unprovoked seizures because there is a 75-85% chance of further seizures. For some syndromes with an excellent prognosis, such as rolandic epilepsy, AED treatment may not be needed. In general, the first AED drug prescribed will be successful at stopping all further seizures in only 50-60% of patients. Children who do not gain seizure control with a first AED may get control of their seizures with a second drug. Not surprisingly, there is less success with a new AED if several have already failed. Overall, about 15% of children with epilepsy have seizures that are not controlled with AED treatment. These children should be considered for other treatments such as epilepsy surgery, vagus nerve stimulation, or the ketogenic diet. For children whose seizures are completely controlled with AEDs for two years, there is good evidence that 70% will remain seizure-free if AEDs are stopped. There does not appear to be any advantage in waiting for 3, 4 or 5 years seizure-free before attempting to discontinue AED treatment. AEDs are usually slowly discontinued over a few months. If seizures recur, it is usually within 6 months of stopping AEDs and nearly always seizure control returns if AEDs are restarted. Only a very rare child (~1%) will be seizure-free on AED treatment, discontinue treatment, have seizures recur and never regain seizure control. For children who recur when AEDs are first stopped, ~60% will again become completely seizure-free for several years and attempt to discontinue AEDs for a second time. Approximately 70% of these patients will again be successful in living seizure-free. Once epilepsy begins in a child, what is the chance that it will go away entirely (remit)? About 50-60% of children with epilepsy will “outgrow” the disorder, stop medication treatment (AED treatment) and never have seizures during adult life. A neurologist may say their epilepsy is said to remit or enter remission. Antiepileptic treatment usually controls seizures in children but does not seem to cure epilepsy. Rates of remission are the same for treated and untreated patients. Children with the seizure type of complex partial are considerably less likely to remit than those with other types of focal seizures. There is concern over how a child’s epilepsy will affect his/her social development. A child’s social outcome is determined by many factors, including type of epilepsy syndrome, intellectual abilities and school success, other neurologic and psychiatric problems, family functioning, and stigma. Social outcome is not clearly related to epilepsy remission. Many children with remission of their seizures still have social difficulties in adulthood, although continual seizures make social success more difficult. In one study, young adults with childhood absence epilepsy (CAE) were compared to children with juvenile rheumatoid arthritis. The study’s results showed youth with CAE had lower rates of high school graduation and employment. Additionally, they had higher rates of alcohol abuse, behavior problems, and unplanned pregnancy. This study suggested poor adult social outcomes for youth with CAE was not the result of a chronic disease in childhood, but rather an association with epilepsy. It is not clear why some children with epilepsy develop major problems while others with similar epilepsy have very normal adult lives. Moreover, why are social adjustment problems so common in adulthood for children diagnosed with epilepsy? During the childhood years, caregivers and healthcare providers should place more attention on education and socialization goals. In adolescence, issues related to employment and sexuality should be addressed. 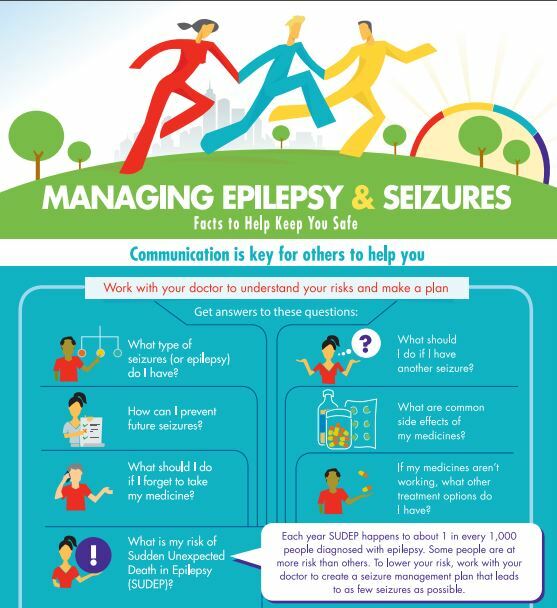 For most children with epilepsy, the cause (if it can be identified) is not preventable. Prenatal causes are rarely the result of an identified problem during the pregnancy. Prevention of premature birth through good nutrition and prenatal care may prevent some cases. Problems around the time of birth are not common causes of epilepsy but sometimes can be prevented by obstetrical care and expert neonatal care. Genetic causes are not directly preventable. Causes are more often preventable as the infant or young child grows older. Head injury can be prevented by interventions such as the use of helmets, car seat belts, safe play, decreasing violence in sports, and gun control. Many brain infections can be prevented by immunization and vector control (such as mosquito or parasite control). Our son, John Paul, was a 19-year-old first year student at the University of Virginia. He was academically very bright, an accomplished athlete in swimming (winning the 2015 Virginia state title in the 200 individual medley), possessed an inquisitive mind, had an infectious smile and personality, was modest in his accomplishments, cherished his many friends, and had parents and younger siblings who loved him unconditionally. This past December, John Paul had just come home from college after exams and was enjoying time with family and friends. Three days after coming home for the holidays, our son passed away in his sleep. It wasn’t until a week after his funeral that I heard for the first time the term “SUDEP” from a relative and began researching more about it online. And through that research, I learned about the many other SUDEP tragedies that have struck innocent families and changed their lives forever, just as it has changed our lives. It seems one common denominator in each of these stories is that the family had never heard of SUDEP and/or their doctor had never mentioned it. Read more about John Paul and his families call to action. 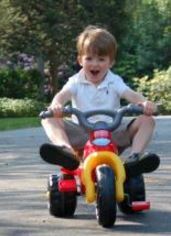 In many ways it’s still hard to believe that I lost my 4-year-old son, Henry, to epilepsy nearly 8 years ago. He was a happy, loving, and healthy little boy, full of life and promise. He began having seizures when he was 4 years old. We thought he would out grow them and had no appreciation for their potential devastation. But before his epilepsy diagnosis was even complete or he had a chance to become therapeutic on his medications, he died unexpectedly during his sleep. Finding him limp, cold, and grey one horrible winter morning and doing CPR, in vain, on my first-born child is still too surreal to really imagine. Read more of Henry’s story, how Gardiner turned grief into action and about the Partners Against Mortality in Epilepsy (PAME) Conference. My name is Kristan Bagley Jones and our journey with epilepsy began in 2009 when my son Evan was 15. I learned a great deal about epilepsy as Evan suffered through nine grand mal seizures over four years, but never about SUDEP (sudden unexpected death in epilepsy) from any of his doctors. I first learned about SUDEP after his funeral through friends. I do not know why I did not learn about SUDEP from his doctors, all of whom had provided a great deal of compassionate and expert care. Read more of Evan’s story and why she wants people to #DareTo Say SUDEP and make informed choices. Citizens United for Research in Epilepsy (CURE) is a nonprofit organization dedicated to finding a cure for the epilepsies by funding research and by increasing awareness of the prevalence and devastation of this disease. To prevent deaths caused by seizures. We work toward this mission with these main goals in mind: advancing awareness of Sudden Unexpected Death in Epilepsy (SUDEP) and enhancing the SUDEP communication model between medical professionals and families afflicted by seizures; and the mainstreaming of seizure detection and prediction devices that may assist in preventing deaths caused by seizures. The mission of Dravet.org is to serve as a global patient advocate organization giving support to families, saving the lives of our children, promoting and funding medical research to find effective treatments and cures for Dravet syndrome and Dravet Spectrum Disorders. We are absolutely committed in our quest to find a cure while helping to improve the quality of life for patients and their families. Our steadfast dedication to empower families so they can take an active role in their child’s care, while managing daily challenges of these disorders, is what motivates us to do more. Improve the health and well being of Veteran patients with epilepsy and other seizure disorders through the integration of clinical care, research and education. Providing information and support to hypothalamic hamartoma patients, caregivers, and healthcare providers and promoting research toward early detection, improved treatments, living with HH, and cure. IFCR is dedicated to funding research of this rare genetic disorder, and to raise awareness amongst medical professionals and the public, while providing information, support and resources to families affected by CDKL5. Intractable epilepsy is a main symptom of CDKL5 and our mission is to alleviate this suffering by partnering with researchers and epilepsy organizations in pursuit of our common goal. The LGS Foundation is a non-profit organization dedicated to providing information about Lennox-Gastaut Syndrome while raising funds for research, services and programs for individuals living with LGS and their families. My Epilepsy Story is an organization that is united with ONE voice, for women and children who are affected by this devastating neurological disorder, called epilepsy. We share the stories of women and children living with epilepsy and the ones that have died from epilepsy……all in an effort to find better treatment, a cure, and to increase awareness for women and children’s health. Our passion is assisting individuals and families affected by Epilepsy and/or Mental Illness. We also interact with the community by providing support and education, training in advocacy, and increasing awareness of these illnesses. Epilepsy and mental illness are two common yet separate brain disorders that can cause isolation and stigma. These families and individuals need information and support. Our strong desire is to prevent teen and adult suicide by providing programs, support, and better cohesive teams between patients, families, clinicians, and therapists. Seizure Tracker is dedicated to providing people living with epilepsy and their care providers with free comprehensive tools to help understand relationships between seizure activity and anti-epileptic therapies. The RE Children’s Project was founded in 2010 to increase awareness regarding Rasmussen’s Encephalitis (RE) for the primary purpose of supporting scientific research directed towards a cure. The organization also supports research dedicated toward the recovery process following hemispherectomy surgery, a life altering, radical brain surgery that is the only known “cure” for the disease. Since our founding we have sponsored cross-disciplinary research conferences and funded leading edge research around the globe focused on finding the cause and an eventual cure for RE. The Tuberous Sclerosis Alliance is dedicated to finding a cure for tuberous sclerosis complex (TSC) while improving the lives of those affected. TSC is a rare genetic disorder that causes tumors to form on vital organs and is the leading genetic cause of epilepsy and autism. The sole purpose of the HERO website is to make it easier for people to find and enroll in clinical studies and advance epilepsy research.